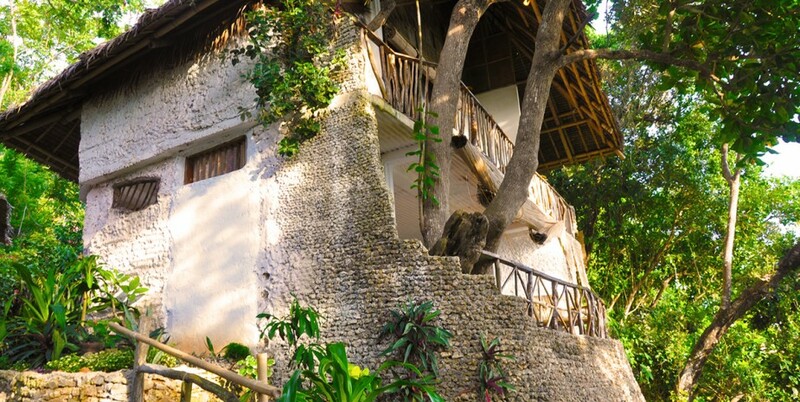 Built upon a large tree canopy, the tree house boasts of an extensive terraced garden located 25 meters on top of the beach. 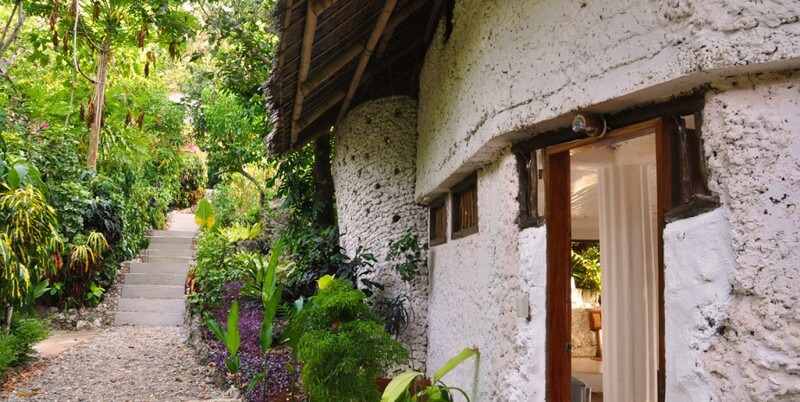 The terraced garden naturally frames the view of the cove among lush tree branches in the area. 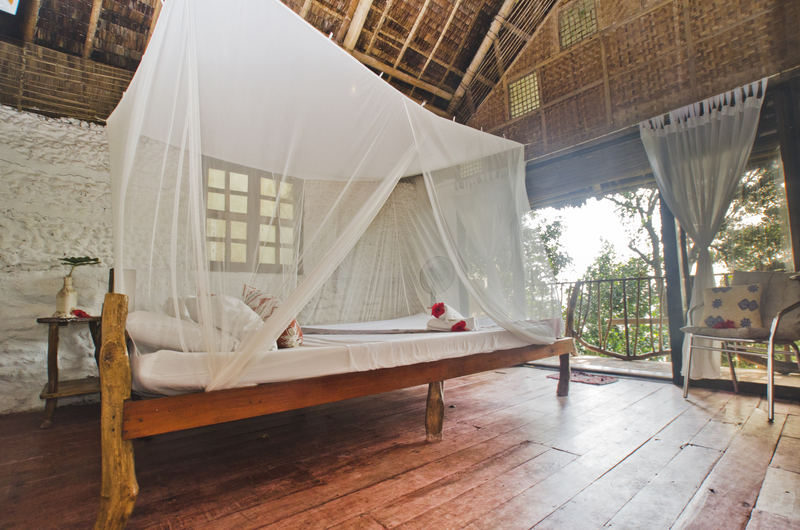 This famed terrace enables a number of guests to do different kinds of activities because of its relatively large space. 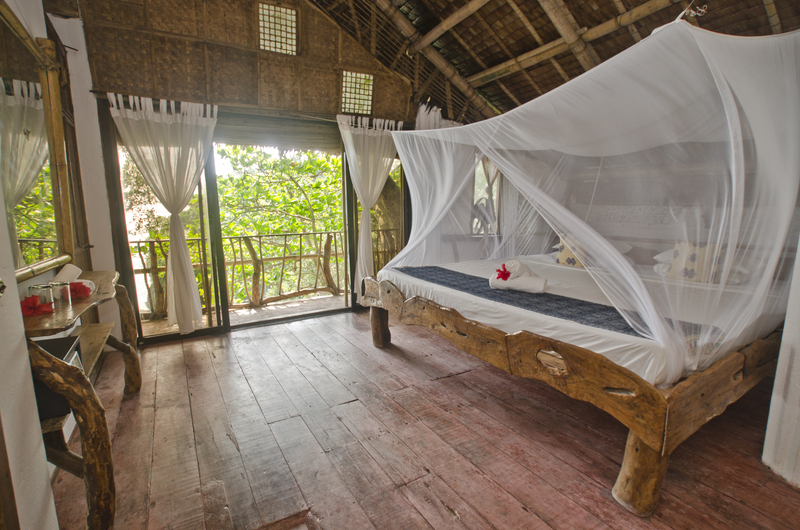 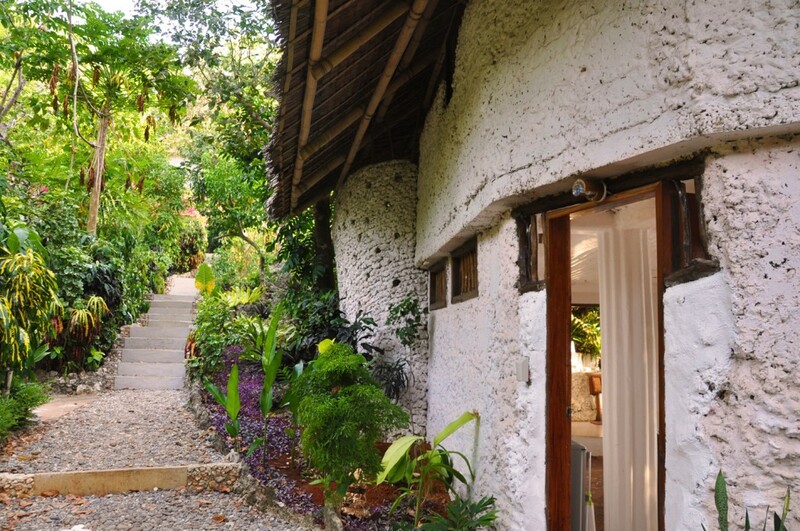 The tree house has two separate bedrooms – one having a queen size bed and the other having a double bed. 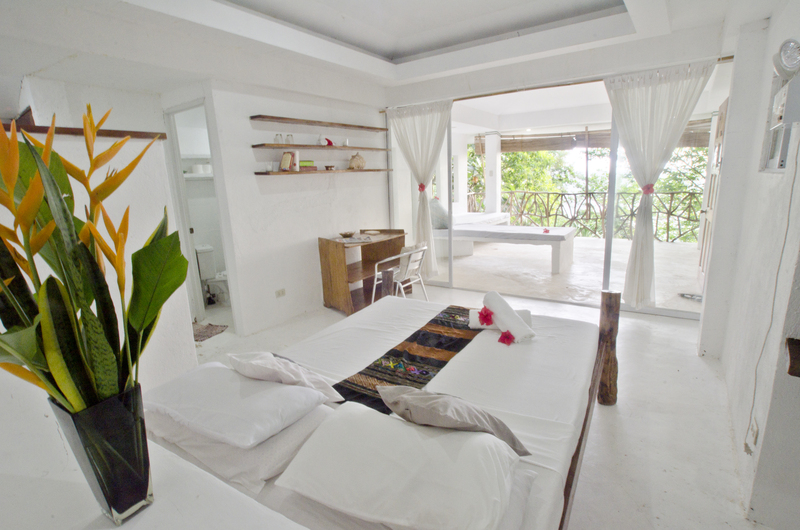 Bedroom features include writing desk, mini compartment, refrigerator, telephone, electric fan, in-room safe, plus wooden table and chairs in the terrace. 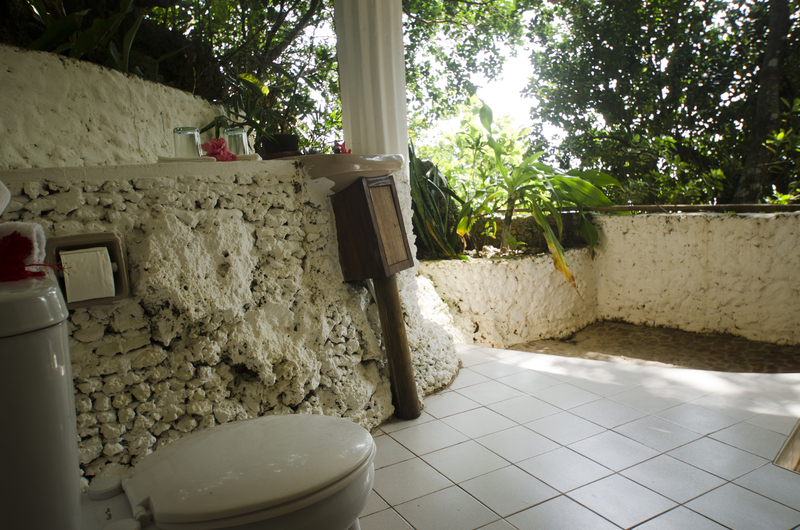 The tree house also consists of a semi-open spacious bathroom (with hot and cold shower) downstairs that directly overlooks the ocean. 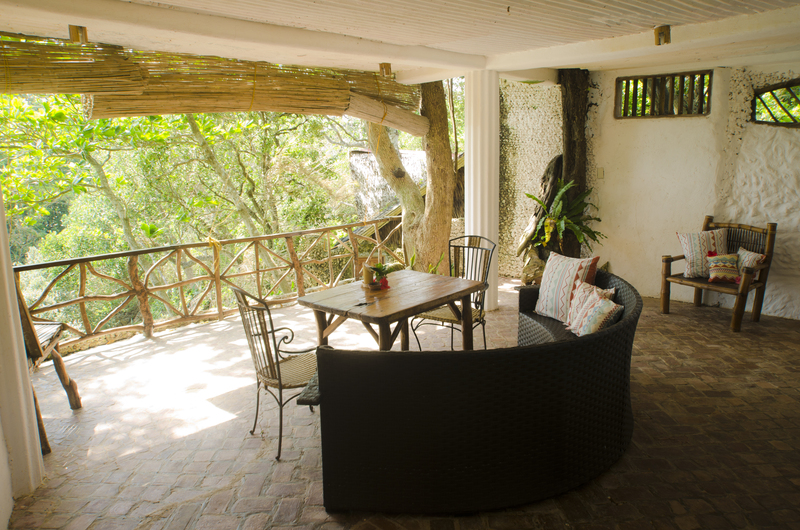 Meanwhile, downstairs is a wide veranda with equally comfortable bed-sized benches, a kitchen, and of course the magnificent in-house tree. 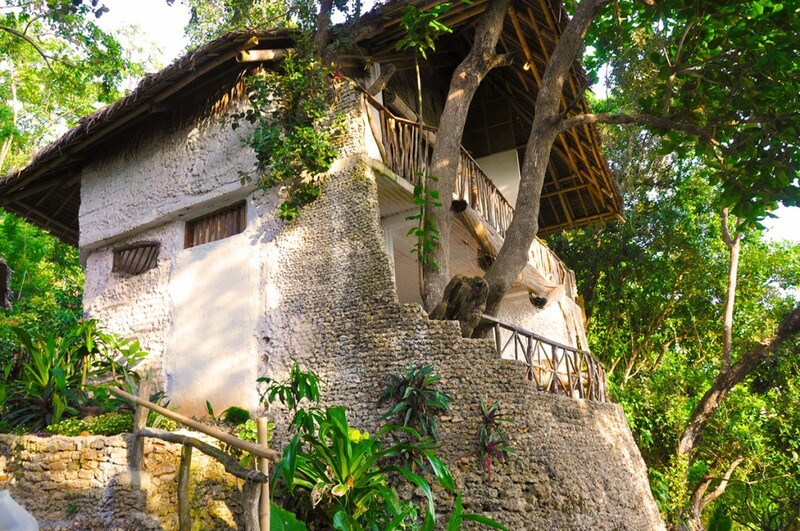 The tree house is good for four guests.